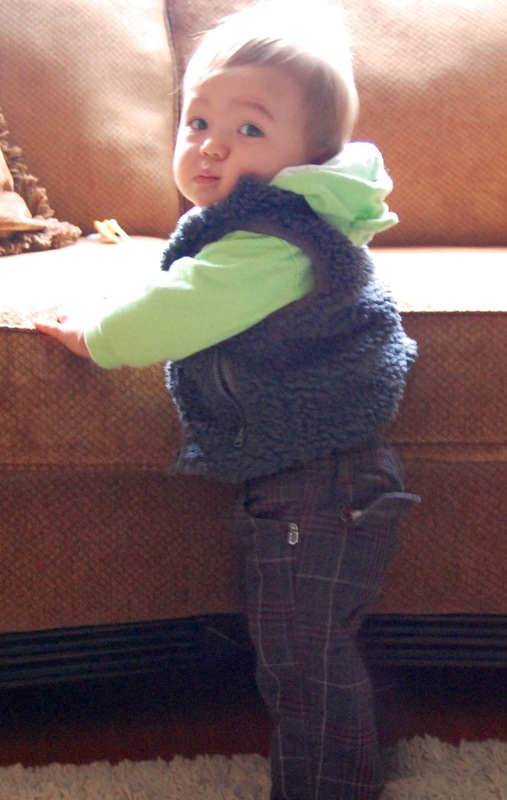 east van baby: My Love is 11 months old! My Love is 11 months old! What's my 11 month old up to these days? curious about a lot of things, lots of hand gestures and sometimes pointing towards an object and says "ayyyyy" or "ohhhhh"
he took his first steps on December 17th at approx 6pm! 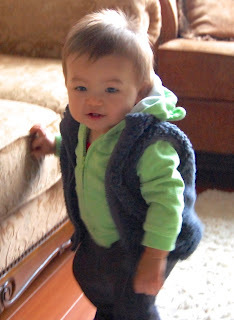 Since then, he's been able to walk 3-4 steps and stand up on his own for like 10 seconds or so. he wont do it on command (naturally) but instead suprises us by either ditching the walker and just going to walk or ditching a toy and coming to us a few steps away! crappy quality video with even worse lighting!